A stuffed bear's heart beats with the rhythm of a dead baby, Reno keeps receding to the east no matter how far you drive, and in a mine on another planet, the dust won't stop seeping in. In these stories, Evenson unsettles us with the everyday and the extraordinary--the terror of living with the knowledge of all we cannot know. 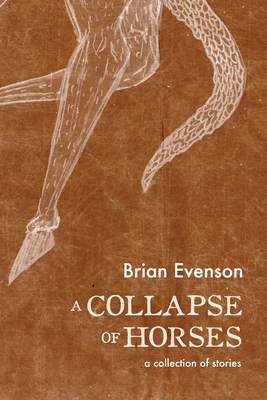 "Brian Evenson is one of the few who will still be read a hundred years from now: either by our grandchildren, or by the machines who have killed our grandchildren." --Hobart, "An interview with Brian Evenson"
Praised by Peter Straub for going "furthest out on the sheerest, least sheltered narrative precipice"
Brian Evenson has been a finalist for the Edgar Award, the Shirley Jackson Award, and is the World Fantasy Award and the winner of the International Horror Guild Award, the American Library Association's award for Best Horror Novel, and one of Time Out New York's top books. Brian Evenson: Praised by Peter Straub for going furthest out on the sheerest, least sheltered narrative precipice, Brian Evenson has been a finalist for the Edgar Award, the Shirley Jackson Award, and the World Fantasy Award and the winner of the International Horror Guild Award, the American Library Association s award for Best Horror Novel, and one of "Time Out New York" s top books. The recipient of a National Endowment for the Arts fellowship and three O. Henry Prizes, Evenson lives in Providence, Rhode Island, where he directs Brown University s Literary Arts Program.